Many people know the familiar image of bikers with their leather jackets and rugged boots, but they may not understand that these items do much more than simply create a certain look. Each piece is designed to protect the rider and keep them comfortable. 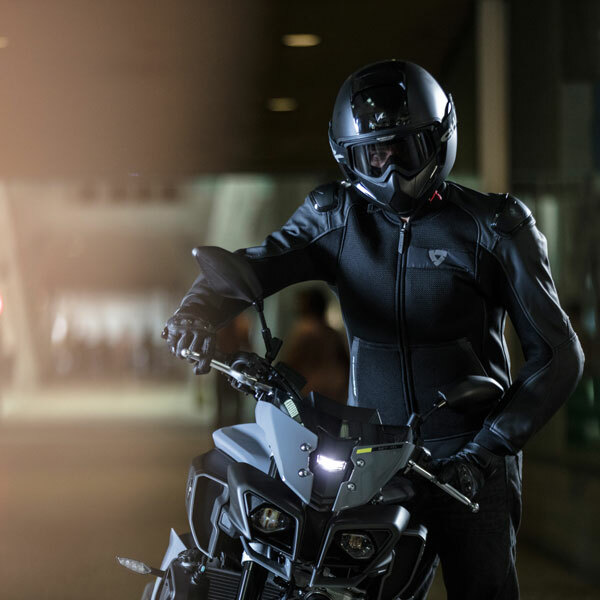 If you are new to riding, consider the following articles of clothing before hitting the road. Anyone on a motorcycle needs a good leather jacket in their collection of motorcycle gear. A high-quality jacket will protect you from the weather including rain and cold temperatures. It should also have zippered vents that you can open during warmer seasons. Even if it is summer time, you want the protection leather provides. Pair your jacket with a set of matching chaps. All of this leather gives you a protective layer between you and the road. A good helmet is a must no matter when you are riding. There are numerous stories about riders that have survived accidents that they otherwise wouldn’t have if it wasn’t for their helmet. Protect your hands too with leather gloves. Not only are they terrific protection in the case of an accident, but they also keep hands from being subjected to the wind and bugs. You will be thankful for a good pair of leather riding boots when the temperature drops, but they can be beneficial throughout the year. Choose ones that are high enough to provide ankle support. This height also protects your legs, and a slight heel helps keeps your foot planted firmly on the peg. Make sure they are comfortable enough I walk in too. The next time you see someone on a motorcycle you will understand why they dress the way they do. All that leather isn’t just a way to create an image. This way of dressing keeps riders safe and comfortable. If you will be riding, don’t leave home without each of these items.